This is the 2011 donation/opportunity quilt. All the flower blocks are needleturn appliqué, and most of the fabric is batik. Tickets will be available for sale at the quilt show June 17-18. 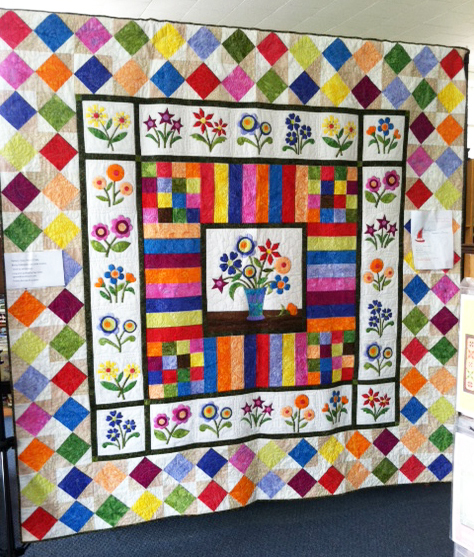 To download a copy of the 2011 quilt show entry form and FAQs (frequently asked questions, click here. All quilts must have a hanging sleeve. To download instructions, click here.